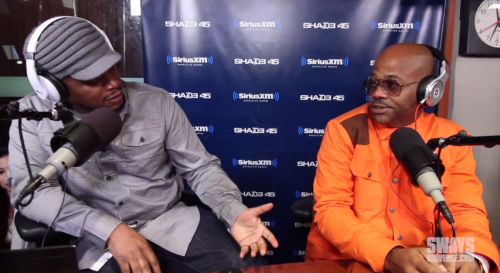 Dame Dash hit up Sway in the morning and gave a detailed interview, the rule was no topic was off the table, anything Sway was curious about he got to ask Dame. Dame talked about everything, from director Lee Daniels owing him two million, to his alleged beef with Jim Jones and Beanie Sigel. Of course there were questions about Dame’s current relationship with Jay Z. I personally have always loved Dame Dash’s mindset and way of thinking when it comes to business, people are not used to hearing someone speak so boldly about owning everything that you have and to me its not only admirable its something that needs to be taught at a young age. People can talk all they want about Dame being broke but I don’t believe any smart hustler can ever truly be broke (that’s just my opinion). Check out the full interview below….